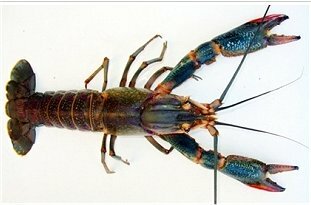 Also known as Tropical Blue Crayfish and Australian Freshwater Crayfish. 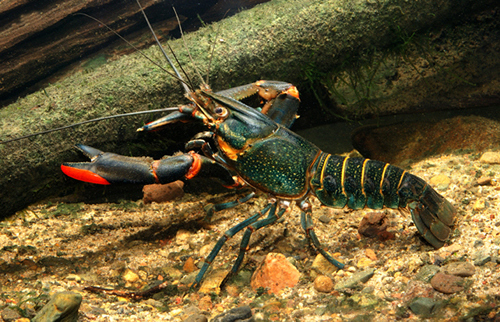 Redclaw crayfish are a moderately large freshwater crayfish. They have a smooth body which is greenish in colour. Redclaw are distinguished from other Cherax species by having 4 carinae (or ridges) on the dorsal surface of the cephalothorax - 2 extending posteriorly from the rostrum and 2 on the postorbital region. Redclaw live in rivers of northern Australia. Redclaw inhabit permanent fresh water to a depth of 5 metres and are abundant in the headwaters sections of rivers. They can live in a variety of habitats, from shallow, clear, fast flowing creeks to the deep, still and often turbid waters of billabongs. Redclaw prefer sites with abundant aquatic vegetation that provides cover. They leave the water regularly and can exist in stagnant or poor quality waters. Redclaw spawn throughout the year, although there is less spawning activity in May and June. Redclaw is also farmed, with spawning stimulated by water temperature rising above 20°C. Females are capable of producing up to 3 broods in a spawning season. A Large female can produce from 30 - 1000 eggs per brood. Redclaw live for 4 to 5 years and reach 90mm carapace length and usually weighing around 300g, although they have been recorded at reaching 600gram. Both males and females mature after the first year. Cormorants, herons, eels and water rats are the major predators of Redclaw. Redclaw (Cherax quadricarinatus) is native to tropical Queensland and the Northern Territory, it is also found in Papua New Guinea. The males have distinctive red patches on the outside of their large front claws, while the females lack these patches and tend to have smaller claws. Unlike Yabbies, they do not burrow but do like to live inside some type of ‘tunnel’ such as a hollow log. 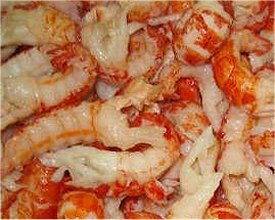 Common redclaw baits include fish frames, chicken frames, half-cooked potatoes, rockmelon, dog and cat biscuits, pilchards and cheese. Video showing how to catch Red Claw Crayfish. 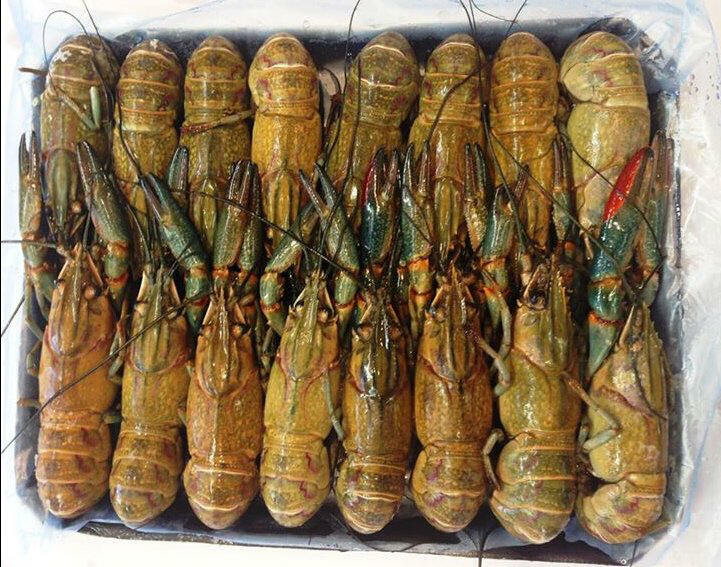 Redclaw Crayfish are a freshwater shellfish that occur naturally in a range of different habitats to depths of 5m in rivers and streams in northern Queensland and NT. The commercial supply are farmed in culture ponds along Queensland’s east coast. They are endemic to Australia. Redclaw have a host of biological characteristics that make them a suitable species for aquaculture. They grow quickly, breed naturally in ponds and have a simple life cycle.